Due to the ever growing weirdness of our lonely little world, the weirdness in our etetamintent is increasing as well. And this latest offering to the ever popular zombie genre is odd AF. 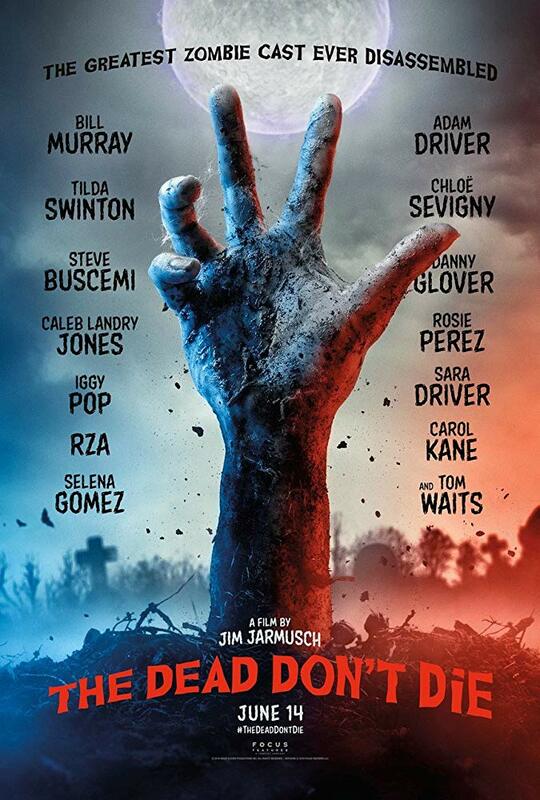 From arthouse director Jim Jarmusch comes The Dead Don’t Die; a zombie movie that features what some would call a “star-studded cast”. The film stars Bill Murray, Adam Driver, Danny Glover, TIlda Swinton, Steve Buscemi, Selena Gomez, Carol Caine, and Iggy Mothefrickin’ Pop to name a few of this film’s eclectic ensemble. Based on the trailer, this movie looks like it’s part Shaun of The Dead, and any Wes Anderson movie. I’m not sure if it will make for a scary zombie film or not, but it looks more than watchable. The Dead Don’t Die hits theaters on June 14, 2019.